Oslo is planning a sustainable city based around its airport. Oslo Airport wants to set a new standard in sustainable aviation. Last year, it launched a new green terminal that was certificated as the the world’s first. Now, it wants to build an entirely new, sustainable city around the airport. The original goal was to cut back 50 percent of the airport’s energy use. The terminal was built from natural wood and stone from forests that were sustainable. Windows were placed to maximize daylight use and to give travelers a glimpse of the area surrounding them. That led to an “excellent” rating from BREEAM (Building Research Establishment Environmental Assessment Method). Now, travelers visiting Oslo Airport will be able to experience the development of a sustainable city. Aiming to produce more energy than it consumes, the city will stretch out to nearly 1,000 acres. It will essentially be a prototype of a future city run on renewable power and driverless public transportation. 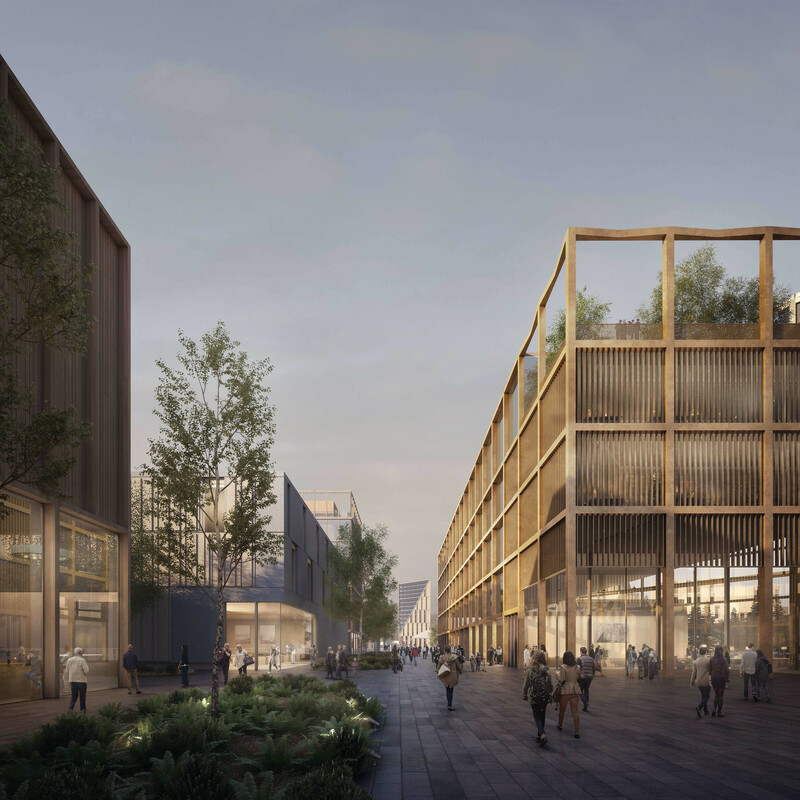 Oslo Airport City will be complete with a public park, recreational facilities, event centres, restaurants, offices, hotels, and more. It is expected to create thousands of jobs throughout development; currently holding nearly 23,000 employees and contractors. It's expected that once complete that total will nearly double by 2050. "This is a unique opportunity to design a new city from scratch," Tomas Stokke, director of Haptic Architects, told Dezeen. "Using robust city planning strategies such as walkability, appropriate densities, active frontages and a car-free city centre, combined with the latest developments in technology, we will be able to create a green, sustainable city of the future." For those keen to see the new Oslo Airport City, it’ll take a while to fulfill those plans. The project isn’t expected to be completed for 30 years. However, the first phase of construction begins in 2019, and the airport expects to have its first fleet of electric airplanes in the sky within seven years.